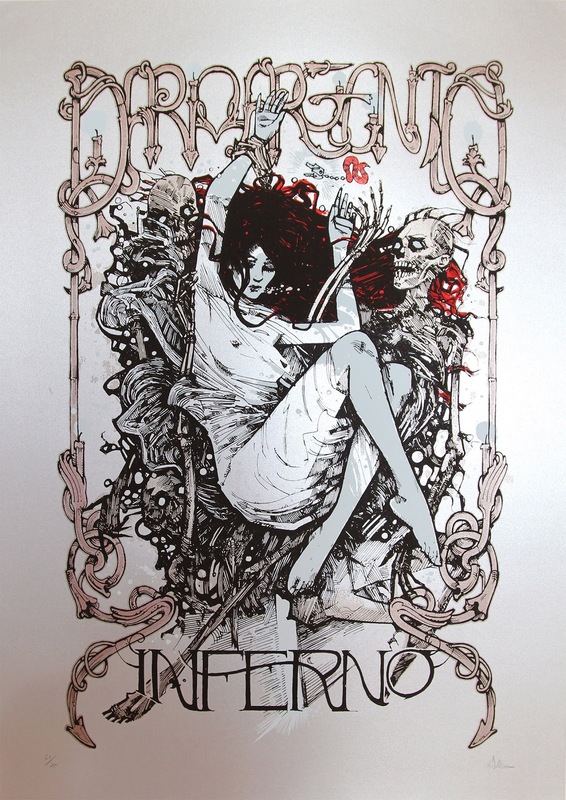 Inferno is Argento's 1980 semi-sequal to Susperia. This print created to celebrate the film, features a dramatic image inspired by the famous underwater sequence. The regular edition is printed on blue paper and gold metallic ink is used. The variant edition is printed on beautiful silver metallic paper. Both editions are stunning in the flesh and available from www.darkcitygallery.com on Friday 11th January 2013. Each of the variant edition prints have been hand finished by the artist with red glitter ink. 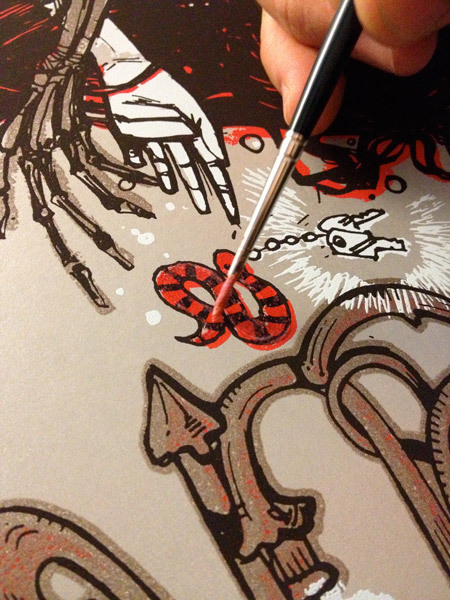 The prints are numbered and signed by Malleus. 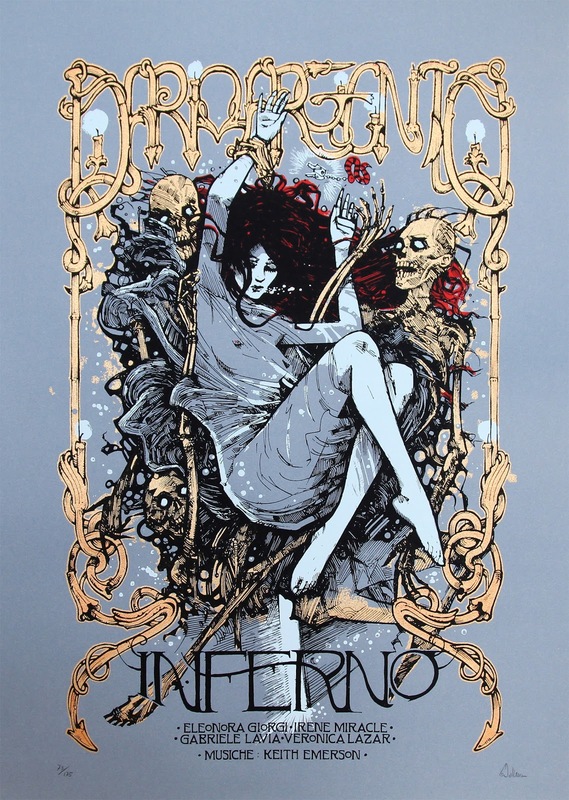 The regular edition print is a limited edition of 175 and the variant is a limited edition of 75.